Yes, paint color has a lot to do with the perception of size of your bathroom, but you would be amazed at other fixes you can make. 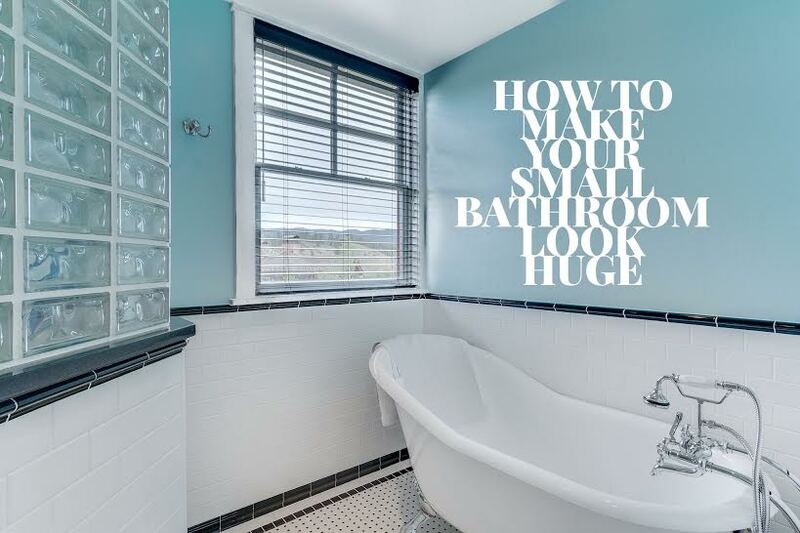 If a huge bathroom remodel is not in your budget, here are some ideas on how to make your small bathroom look huge for a few hundred dollars – if that! 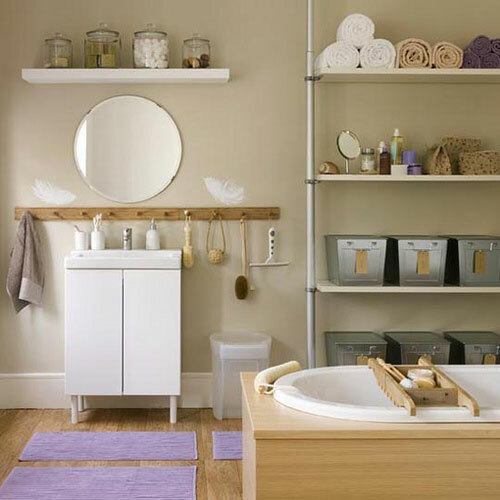 Floating vanities or vanities without legs may seem like a fad to some, but not having legs on your vanity opens up your wall, giving the appearance of more space and makes the room look bigger. This one probably won’t come as a surprise to you. White reflects light and light opens up a room making it appear larger than it truly is. 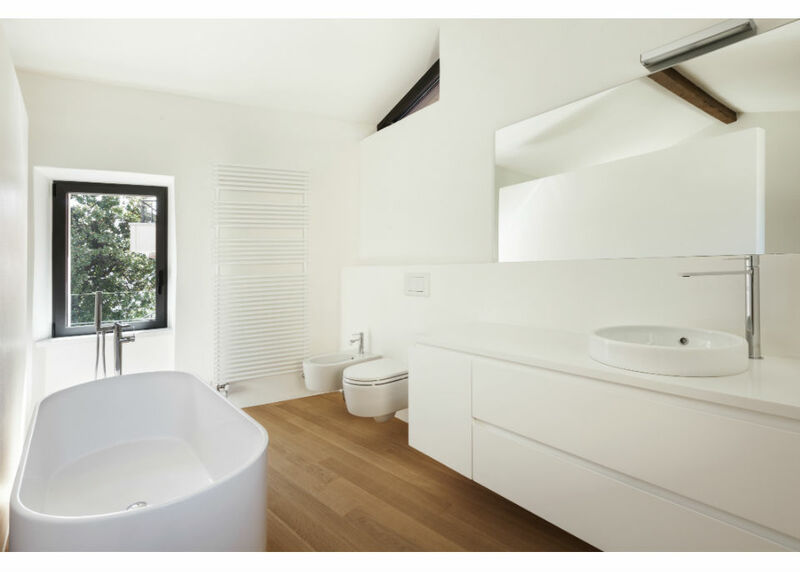 Choosing white does not just mean paint color – it includes tiles, toilets, showers, etc. 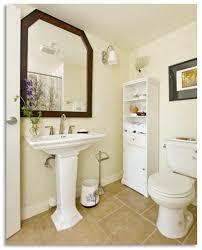 Not everyone loves the look of white or can afford to redo their entire bathroom in white. If you already have a pronounced color scheme that you’d like to keep, try to mirror it with paint, tiles, carpets, etc. The only suggestion here is to stay away from dark colors. If you already have a dark color scheme going, try to choose lighter tones in that color scheme. Sheer curtains, white shutters or frosted windows can do a lot of good by offering privacy while still allowing natural light in to brighten up a small room. This one is an old one, but a good one! Instead of tacking up a small mirror, consider an oversized mirror or adding a full length mirror somewhere to reflect more light and give the illusion of a larger space. Instead of relying on cabinets and vanities, consider open shelves. 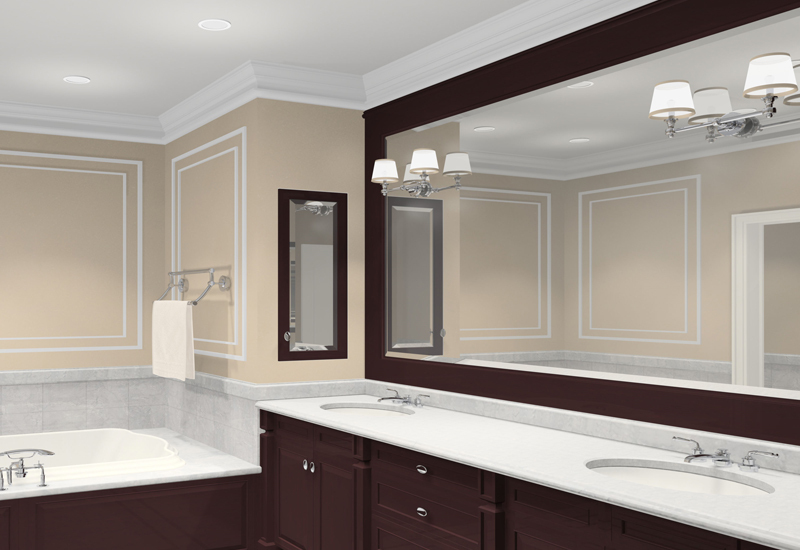 Cabinets and traditional vanities are solid and take up a lot of visual wall space. The open shelves will break up the wall, but still show enough of it to make the room look bigger than it is. 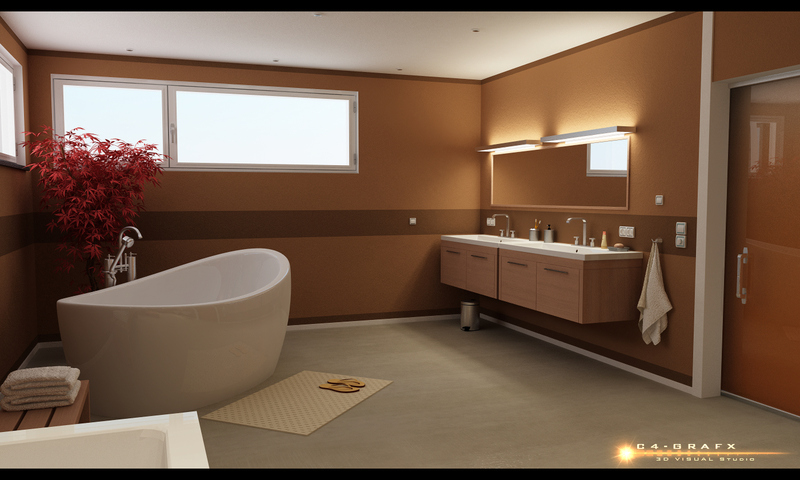 Most people think they will make the most out of their bathroom by choosing large tubs or vanities. Quite the opposite is true – large furniture will not only take up too much space, but look out of place. 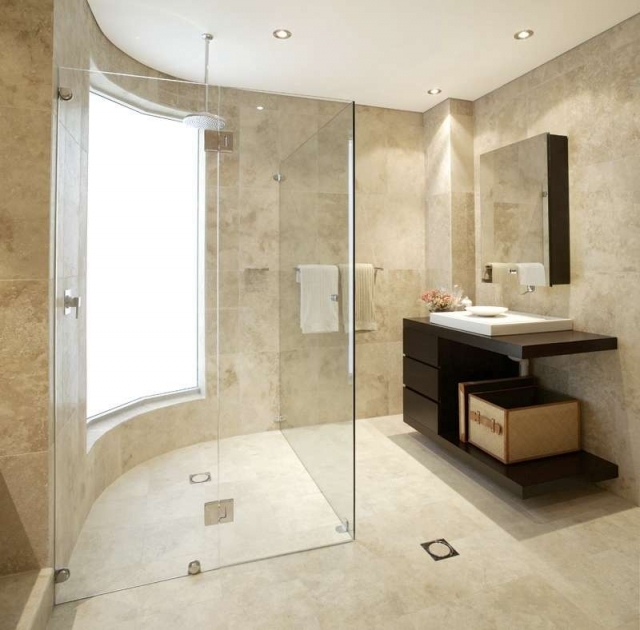 A bathroom with smaller pieces looks more elegant and spacious. 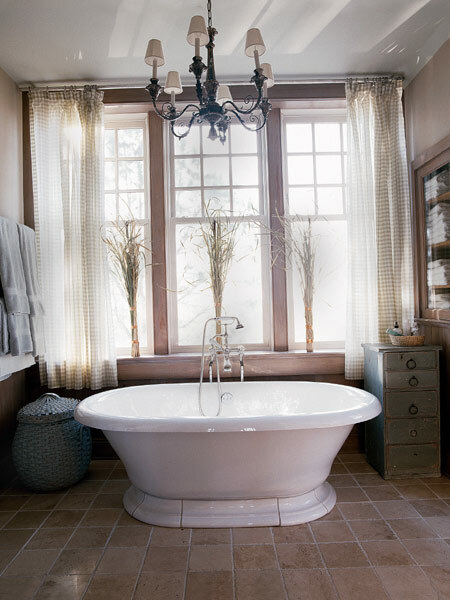 While there is nothing wrong with a tasteful shower curtain, a clear glass door will make any space look bigger. You will be able to see through to the shower or tub instead of closing it off. 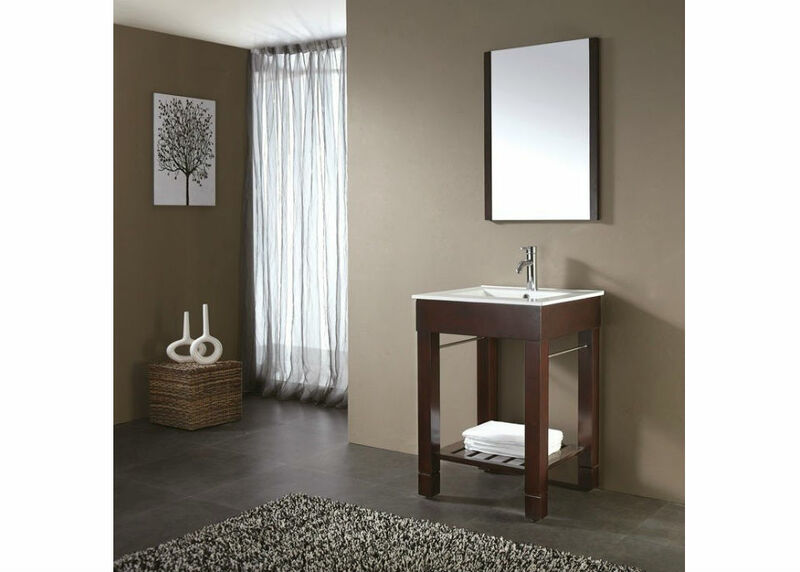 This follows the same logic of small furniture – try a pedestal sink. They are white (reflecting that natural light!) and also very minimal. Not to mention a cabinet that no longer takes up so much space. You can pair it with floating shelves or a corner shelf for a sleek modern look. If you need help with bathroom painting or renovations and you’re in the Durango area (La Plata and San Juan County), please give us a call anytime at (970) 903-4305.